The stunning park of Casale Barniano! 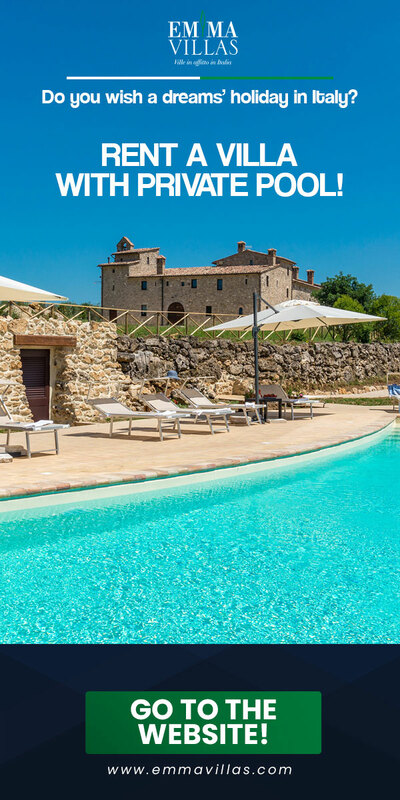 Located among the rolling hills of southern Tuscany, Casale Barniano is less than five minutes from the medieval borgo of Cetona, chosen in the past by important protagonists of Italian cinema as a holiday resort. This is a territory famous for excellences of all kinds, from small villages known for their food and wine specialties to be tasted in the typical locales to be found in the narrow streets of historic town centres, to splendid art cities that are true open-air museums, to spa towns with their wellness centres and thermal waters or to sinuous country roads that offer breathtaking landscapes as you drive along them. Casale Barniano is an old farmhouse, unique in its kind because it has an unusual square layout and a pinnacle. 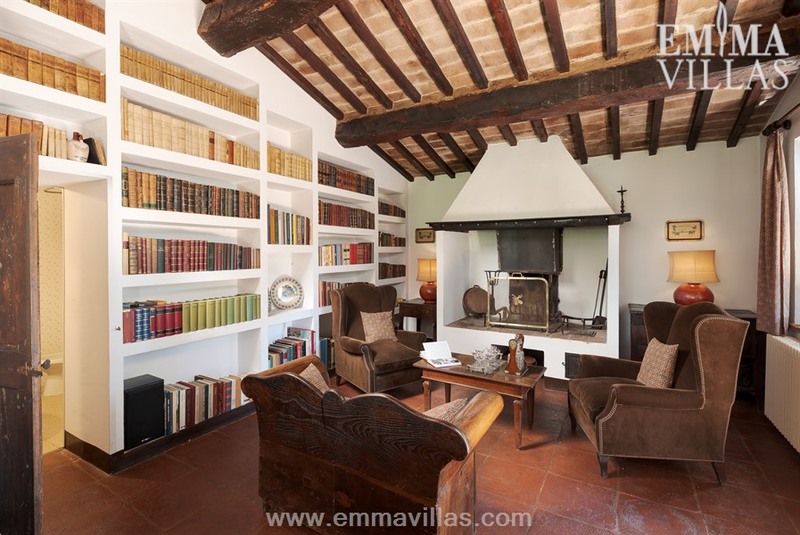 The structure has undergone radical renovation work which, while maintaining its distinctive features as well as the original materials such as terracotta, exposed stone and wooden ceiling beams, has turned it into a comfortable home suitable for modern needs. The spacious rooms of the living area and the bedrooms are furnished with beautiful period furniture, coming mostly from the Arezzo Antiques Fair, the oldest and largest in Italy. The garden is well cared for, full of local plants, and has been beautifully set up for spending pleasant moments in it, by day and at night, and many French windows face out to it so that it can be fully enjoyed from the house as well. The pool is close to the house but in a secluded position, guaranteeing total privacy. 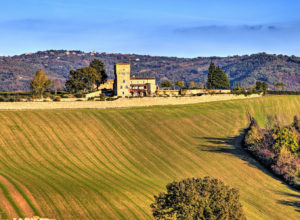 Cetona is the reference point for services, restaurants and basic needs while within easy reach are places such as: Cortona, Pienza, Montepulciano, the spectacular Val d’Orcia (a UNESCO World Heritage site), Lake Trasimeno, Orvieto and many more. About fifteen minutes away by car are the A1 Motorway, the Autostrada del Sole, (Chiusi-Chianciano Terme exit) and the railway station at Chiusi Scalo, both excellent routes to major cities such as Siena, Perugia, Rome and Florence. 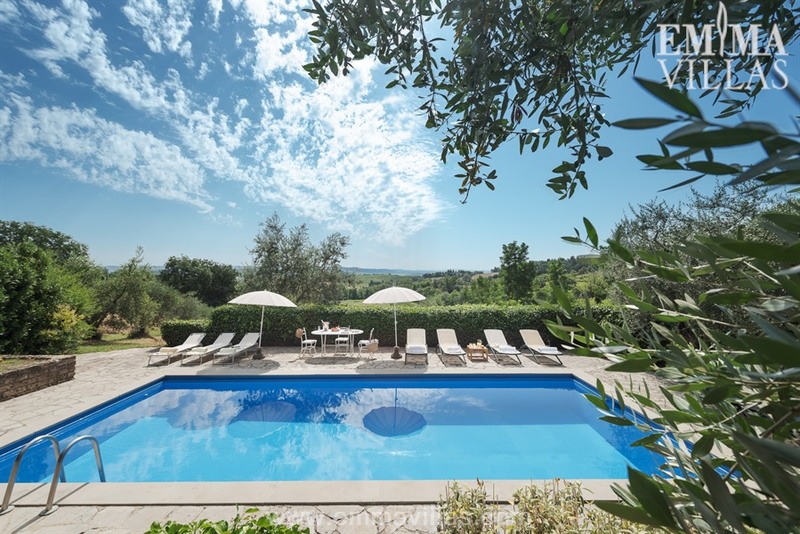 NB: about 30 m at the back of the villa, in a discreet position, is a building sometimes inhabited by the owner who has, however, an independent access road and will totally respect the privacy of the guests. Casale Barniano has two floors connected internally by a staircase with antique terracotta steps. The main entrance on the ground floor goes into a hallway which leads, on the right, to an open-plan area with dining room and sitting room with ornamental fireplace and to a guest bathroom and, on the left, to the large kitchen, laundry, study and to a double bedroom with ensuite bathroom with shower. From the entrance hall you go up to the first floor consisting of a double bedroom with ornamental fireplace and ensuite bathroom with tub, and to a twin bedroom with joinable beds and a double bedroom that share a bathroom with shower. The beautiful garden for the use of the house contains tall trees like cypresses and oaks that dominate large tracts of green lawn with a table for outdoor dining set in a delightful circular corner just a few metres from the dining room French window and shaded by an intricate intertwining of creepers that provide pleasant shade even during the hottest hours of the day. This will be the ideal place for outdoor meals or for organising barbecues with your family or friends thanks to the presence of a mobile barbecue. From the pergola a few steps will take you down to the pool while at the back of the house is a bowls court. What makes the outdoor area of Casale Barniano such an extremely livable place are the various closely-connected areas which are, at the same time, near the house, due also to the morphology of the level terrain around the house. Added to this is the total peace that reigns there and the beauty of the countryside that surrounds it. 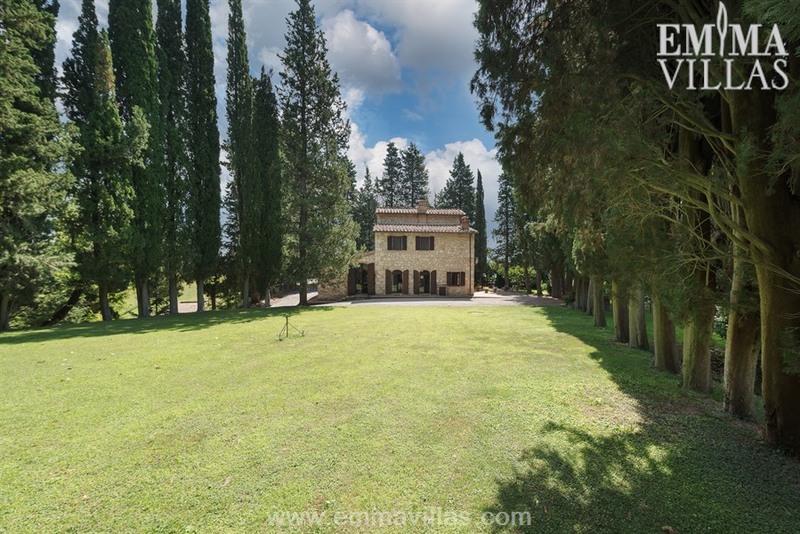 The park is located in an estate of about 5 hectares with cultivated fields and woods and, from one side of the garden in front of the main entrance, a short flight of steps leads to a pleasant path where you can walk along part of the estate. Approximately 15 m from the house and reached across a stretch of garden and then down a few steps is the pool which, although close to the house, lies in a secluded part of the garden. Rectangular in shape, it measures 4 x 10 m with the depth ranging from 1.20 to 1.80 m. Lined in fiberglass, it has chlorine purification and an iron laddder for access to the water. 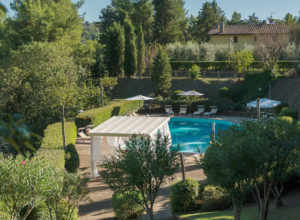 Around the pool is a 100 sq m sandstone-paved solarium area, equipped with lighting for the evening, a cold-water outdoor shower and sunbeds and umbrellas for you to fully enjoy your summer days by the pool. Just 5 m away is a handy changing room. 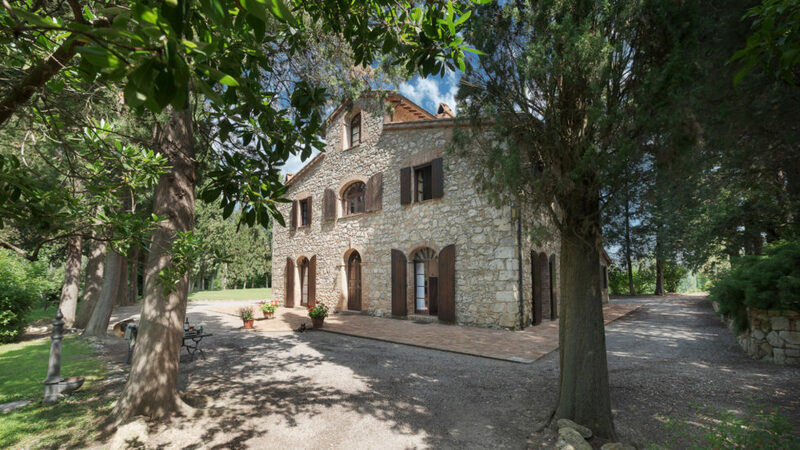 Located near the little medieval town of Cetona, right in the heart of southern Tuscany, the property is an excellent starting point for day trips to explore the beauties of southern Tuscany and Umbria. 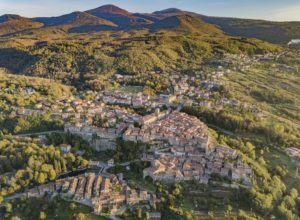 Cetona is very well served by high-speed roads such as the A1 Motorway (Chiusi-Chianciano exit) and the E45 highway which allows short visits to the most important localities of the two regions. 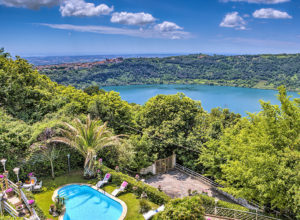 Many centres of interest are to be found within a few kilometres, such as Sarteano, San Casciano dei Bagni with its renowned spa, the Etruscan town of Chiusi, as well as Lake Trasimeno, Montepulciano and Cortona. The town is also served by the railway station in Chiusi Scalo with fast connections to major Italian cities. Click HERE to have more information about Casale Barniano!